Since last I wrote I have seen America, one bookstore at a time. Book tour is hard to explain. People want to believe it’s glamorous. They ask me what my favorite city was, or what the most surprising question was, but the cities and the questions all blur together, along with the airports and the hotel rooms. There isn’t enough time to tell Portland from St. Louis. Book tour makes me feel like I’m Dorothy up inside the tornado – everyone I love spinning past me, waving and then shooting off again. In Cambridge, at Porter Square Books, I saw Christine Rogers who I hadn’t seen since the ninth grade at St. Bernard’s. I saw Paul Yoon (The Snow Hunters) and Madeline Miller (Song of Achilles) (they were not there together), whose books had both been Parnassus First Edition picks. I saw Maxine Blankenship and Florence Ladd and Jessica Treadway, who I had known at the Radcliffe Institute twenty years ago. I love these people and I wanted to sit down with each one of them and catch up, but the crowd in the store was too big, and the signing line too long, and so each one gave me a kiss and went on their way. After I had signed stock for the store, I went out and found a Japanese restaurant, the only place that was still serving after 10:00, and I ate a bowl of miso soup by myself. The next morning I gave a breakfast talk and Edith Pearlman came (Binocular Vision). Oh, how I love Edith Pearlman! But it was snowing and my flight to New York had just been cancelled. I had to make it to the train station in time or I was going to miss my event at the New York Public Library with Elizabeth Gilbert (The Signature of All Things). So it was just a brief hug from Edith, who says she’s writing, and then I was off into the snow. On the west coast things were worse, because I had that horrible respiratory infection that everyone seems to have, and things were better, because that was the week Karl, my husband, came with me. I did eight events in four days in three states, all with a fever and taking antibiotics. One day I did a lunch event at the wonderful Rakestraw Books in Danville, California, then drove two hours to Santa Cruz where I gave a talk in the auditorium of a local high school for Bookshop Santa Cruz. Anthony Marra (A Constellation of Vital Phenomena) and Karen Joy Fowler (We Are All Completely Beside Ourselves) both came that night and hung out with me while I signed stock in the principal’s office before the event – the two people who wrote my two favorite books of the year! That was pretty great. Less great was driving back to San Francisco that night at 10:00 on a winding little road with one lane closed, checking into the most abysmal hotel at midnight, and finding out all the restaurants were closed. Karl and I wound up in a 24- hour Denny’s eating French fries and feeling sad. And feverish. But for every way in which book tour was miserable, there were more ways in which it was fantastic. People were incredibly kind to me. First of all, they showed up. They gave me cough drops and packets of Kleenex. They laughed at my jokes. They stood in line and had me sign books for the people they loved most in the world. They brought me pictures of their beloved dogs, and in a couple of happy cases, brought the dogs themselves. Special thanks to Cooper, the gorgeous Cavalier King Charles spaniel who snuggled in my lap while I signed at Greenlight Bookstore in Brooklyn. The wonderful J. Courtney Sullivan (The Engagements) came to that event, and then came back five weeks later to see Liz Gilbert and me at the New York Public Library. My stepsister Angie and her boyfriend Ted were there, as were Kathryn, Laura, and Amy from Harper Collins. Distant cousins, old friends, admired writers, and so many wonderful strangers showed up night after night, making me feel like the whole thing was all worthwhile. And the booksellers! There would be no way to list them all, but every last one of them was spectacular. I’ve always been in love with booksellers, but now that I’m one myself, that love has deepened. Everyone was so generous with me, and they gave me so many great ideas for things we could do at Parnassus (especially Jake at Alabama Booksmith — a true innovator). Book Passage in Corte Madera threw a gorgeous sit down luncheon and brought in Isabel Allende (Maya’s Notebook) to talk to me on stage. If I could travel around with Isabel, book tour would always be fun, and a lot sexier. The people at Book Passage also made a matchbox that looked like my book and was filled with tiny colored pencils. That will go down in history as the best book tour present of all time, though the unspeakably cool book satchel from Malaprops in Asheville, North Carolina, would run a close second. I’ve given up purses and now only carry my Malaprops bag. What people mostly give me on book tour are books, and books are the one thing I can’t take. I travel with a tiny suitcase and there’s never any room, so I write down the recommendations but politely decline the physical objects. Except for the book that Richard Howorth from Square Books gave me. I took it because it was Richard and we’ve been friends for twenty years, and because I was driving that leg so I could just toss it in the backseat. A huge number of books had stacked up at my house while I was gone, and when I settled back at home and started going through them trying to find the right thing to read, I wound up reading the book Richard had given me — Swimming Studies, by Leanne Shapton. Sometimes a person gives me a book that is so perfect I feel stunned. I wonder how they could possibly know me so well. Swimming Studies is mostly about the experience of swimming, the grind of practice, the thrill of races, the bad food and weird hotels, and how all that discipline can, in some cases, wind up being closely connected to the experience of making art. If you’re a swimmer, or you know a swimmer, or an athlete of any stripe, or any kind of artist, or you just enjoy very clean prose and straightforward nonfiction, I would press this book into your hands. Getting to see Richard and Lisa Howorth in Mississippi, and getting a copy of that book, which I otherwise would have missed, made the whole trip worthwhile – even though I had to get up at 5:00 the next morning and drive home in the pitch dark and pouring rain because an ice storm was heading in and I didn’t want to be frozen into Oxford, no matter how much I like it there. In Seattle I was interviewed on stage by Nancy Pearl. Nancy Pearl is America’s most famous librarian. She recommends books on NPR and has her own book television show. Because I have always thought that bookish people are the coolest people, I find Nancy Pearl to be the very coolest person in the world. Getting to spend an evening talking to her about the books we love was one of those rare moments when I really did believe that book tour was as glamorous as people tell me it is. When I travel I like to take one really big book with me. This time I took a book Courtney Sullivan had given me, The Country Girls Trilogy, by Edna O’Brien. Somehow I had made it this far in life without ever having read Edna O’Brien, so Courtney told me this was the place to start. I thought the first two books were beautiful. O’Brien is an extraordinary writer, soulful and atmospheric, every bit the equal of William Trevor. I will admit that the third volume of the trilogy lost me about halfway through, but the first two are completely worth the price of admission. After The Country Girls, I went onto Doris Kearns Goodwin’s The Bully Pulpit. I’m not finished with that one yet and I won’t be for a while. I’ve read all of Goodwin’s books, and since they don’t come around very often, I like to savor them for as long as possible. Every moment spent with Teddy Roosevelt and Will Taft is a privilege. I flew back from the last stop of tour just in time to introduce Goodwin and Jon Meacham, who were in conversation at Montgomery Bell Academy. How brilliant it was to watch the two of them talking about presidents and history and books! What a joy it was to sit in the audience for a change! The best part about book tour is the part I save for last: I come home. As much as I love seeing all the other bookstores, there’s no bookstore I love more than Parnassus, and no booksellers better than the ones we have right here in Nashville, and no customers who are more passionate readers than our customers. It was always a thrill when I was on the road and people told me that they’d been to our store, or they planned on coming to the store on their next vacation, or that they were members of our First Editions Club. If you live close by or far away, we hope you’ll come in and see us. Sparky and our extensive staff of store dogs will be there to welcome you. There’s no place like home. 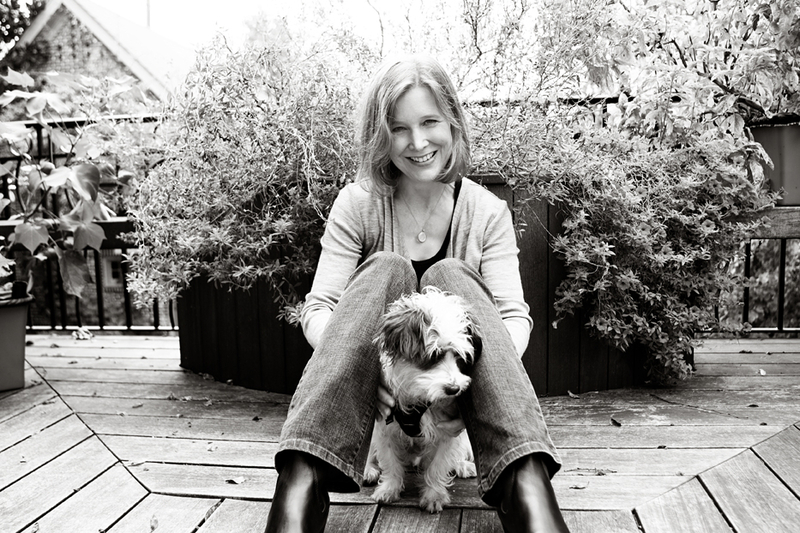 On another note, I’m happy to welcome you to Musing and to introduce our editor, Mary Laura Philpott. Mary Laura has come on board to give us a more complete, and, let’s face it, more interesting Internet presence. I feel like all I do is read and still it’s impossible for me to read enough to come up with a compelling list of books every month. We need more points of view, more personality. We’ve got that now.